Digg was bought by Betaworks in July for half a million and some multimillion-dollar equity. John Borthwick, Betworks’ CEO, spearheaded the purchase. 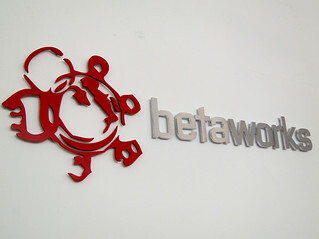 Betaworks owns bitly and has invested in Tumblr, Path, and Kickstarter, to name a few ventures. A redesigned Digg was opened to the online public August 1st, but not without some significant omissions. For instance, the new site has no user profiles and the only way to log in is through a Facebook account — there is no stand-alone Digg log-in. Most glaringly, there is no commenting capacity at the moment. Mapped onto Digg’s new single-page layout are categories like “Upcoming,” “Popular,” and “Top Stories.” It’s being reported that Betaworks has tasked three workers with moderating the entire site, and, rather unexpectedly, that submissions to the site must be approved by those moderators. Among the reasons that Digg remained valuable — its obvious price drop notwithstanding — were its 14 million Google-indexed pages. (Visiting those millions of pages seeing 404 Error’s at the moment.) Unfortunately the new Digg comes without user profiles, all user history is wiped out, no Digg login exists (only Facebook,) no commenting is allowed and users have to submit a link via Facebook or Twitter. Though many users like the thousands who contributed to the RethinkDigg site are choosing to weather Digg’s transition period, a significant number of power-users have gone elsewhere. The word is that only 3 employees are currently moderating DIGG and they only approve whatever they please, which are very few posts. Top News section is a Pinterest clone and the popular section is similar to a random WordPress blog. The users don’t have the ability to submit and choose what’s popular. At one point, Digg was news for people by people. Digg is currently community-less and everything is being handpicked by moderators. It appears that all DIGG power users have already transitioned to other sites. Our guess is that DIGG will die off quickly in popularity, unless the old format is brought back.